Angel Cake is made using shabby floral prints and white muslin then accented with yoyos and embroidery. Kit is complete and packaged in a bakery bag. Along with a "recipe" to make it, this Sweet Confection, is so much fun! Prints will be from our extensive collection of cottage style florals. 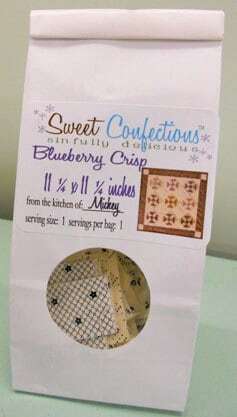 Angel Cake is 11 x 12 inches and a Sweet Confection designed by Mickey Zimmer of Sweetwater Cotton Shoppe. Kit includes: recipe card pattern, fabric for the front, binding, and backing. The quilt kit is wonderful my daughter will love this kit. 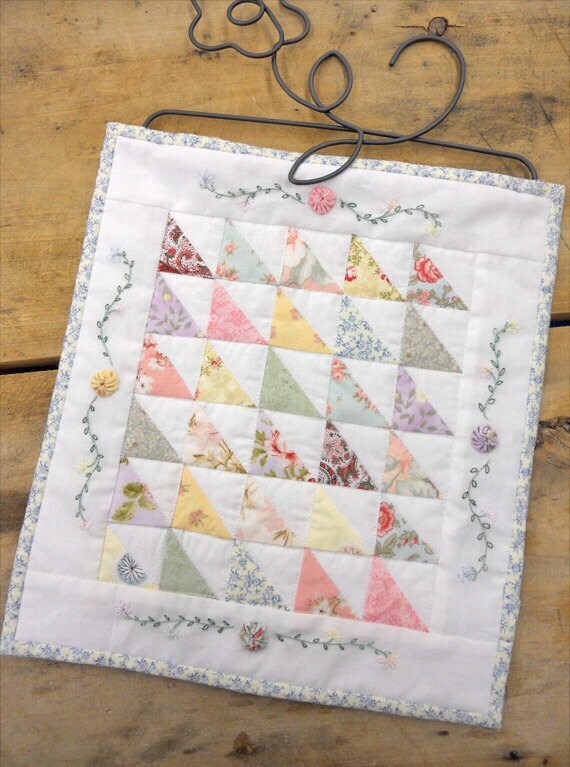 Love the looks of this small quilt. Postage is high.